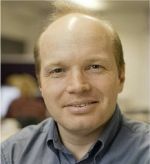 Duncan McFarlane, Professor of Industrial Information Engineering and head of the IfM’s Distributed Information & Automation Laboratory (DIAL), and members of his research team have been working with Boeing since 2005, finding intelligent solutions to some challenging industrial problems. Boeing is the world’s largest aerospace company, producing tens of billions of dollars-worth of commercial jets and defence systems for customers around the world. DIAL is the IfM’s Distributed Information and Automation Laboratory, which specialises in using data more intelligently within factories and across the supply chain to develop more dynamic services and smarter products. Over the last nine years, DIAL has worked with Boeing on six major projects addressing three key challenges: how to manage supply chains more effectively, how to improve resilience and how to make airports more efficient. While these projects have addressed various aspects of Boeing’s business they have one important thing in common – a commitment to applying research to solve real-world problems. 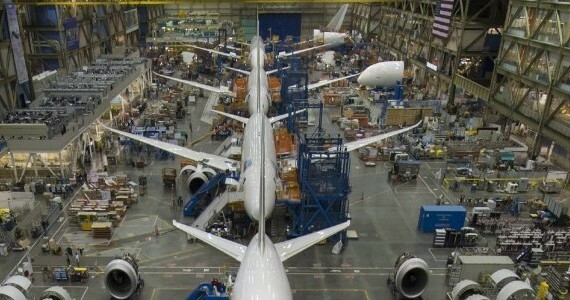 For Boeing, funding research is all about achieving competitive advantage. For DIAL, it is all about finding solutions which have a significant – and widely applicable – industrial benefit. These complementary aspirations underpin the relationship between DIAL and Boeing and is neatly illustrated by two of their current projects: ALADDIN (Achieving Leveraged Advantage from Distributed Information) and DisTAL (or Disruption Tolerant Automated Lean Factories). off it generates roughly half a terabyte of data. While some of it will be critical to the operation, much of it is not. manufacturing environment, this inconsistency has the potential to cause problems with shortages and disruptions which can only be averted by labour intensive (and, therefore, costly) data management processes. But this could be avoided altogether if the data were intelligent enough to ‘have organic awareness of its own value’ and be able to predict potential problems. The associated benefit would be that the many people who currently spend their time sifting through and improving data could be deployed on more strategically useful tasks. Like ALADDIN, the DisTAL project runs under the auspices of Boeing’s research team but also involves a direct collaboration with Boeing’s Interiors Responsibility Center (IRC) in Everett, Washington where the interiors of all models of Boeing aircraft are designed and built. One of the challenges the IRC faces is that the interiors of planes are highly customised, with each of Boeing’s airline customers having its own branding, and often with different branding for different routes. 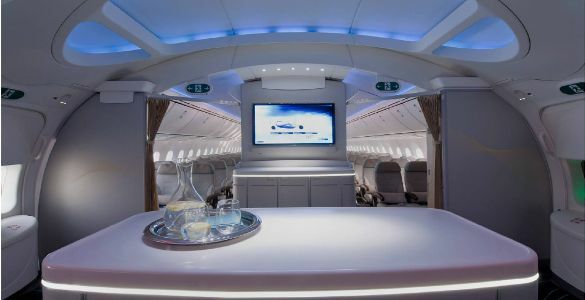 And the specification of interiors is becoming more and more sophisticated as new technologies emerge and airlines become more attuned to the psychological and physiological effects of flying. The ceiling of the new 787, for example, comes with blue LED lighting to mimic the sky and when the plane is approaching its destination the cabin lights turn from the purples and oranges of a sunrise to yellows, and eventually to white against the blue sky. These techniques are designed both to soothe passengers during the flight and mitigate some of the effects of jet lag. But, of course, all these developments bring with them new levels of complexity in the production process and the increasing use of specialised composite materials which in the airline industry also need to be strictly controlled to comply with safety regulations. In the first year of the DisTAL project, Duncan and Alan spent a lot of time in Seattle to understand first-hand the types of disruption the factory was experiencing and their underlying causes. They used their well-established disruption analysis tools to pinpoint the issues and identify which products and processes were causing problems. 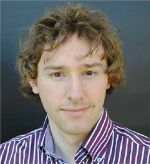 They brought these findings back to Cambridge in order to design and structure the next phase of the research process, looking at more intelligent production control systems that will tolerate higher levels of product variability and which can also dynamically alter the balance between lean and resilient operations to cope with disruptions. This phase of the research is now underway and has informed recent developments to DIAL’s automation laboratory. The lab has been reconfigured to provide an industrial strength test-bed for DisTAL which will allow the team to explore and evaluate their new production control concepts using parts they have produced in the lab with different quality defects. From the IfM’s perspective, one of the additional benefits of its work with Boeing is that it gives the undergraduate MET (Manufacturing Engineering Tripos) students an opportunity to get some invaluable hands-on experience, working on very real and very challenging industrial problems. There are currently two student projects tackling aspects of the DisTAL project, one of them concerned with offline programming of robots and the other with understanding the costs of reconfiguring production control code. With ALADDIN getting ready to start the process of ‘transitioning’ the research results to Boeing and with DisTAL research well underway, DIAL is already gearing up for two new projects. The first brings together some of the concepts underpinning ALADDIN and DisTAL by using intelligent data to predict when suppliers will fail to deliver on time so that Boeing can take pre-emptive steps to avoid potential disruption. The other is looking at the future of airport operations and how they can address the challenges posed by ever increasing numbers of flights and the demand for more bespoke services when airports’ capacity is constrained and their service providers are leaner than ever.